Yes. We call the rain fly the outer tent, which is what you see in the pictures our tents – the green, red or sand is the outer tent. One important feature that, in our opinion, distinguishes a true all-season tent is that the outer tent goes all the way to the ground around the entire perimeter of the tent. This helps keep out wind, rain, and snow. 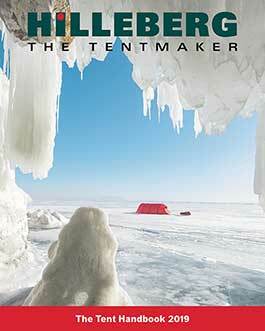 On a Hilleberg tent, the outer and inner are hooked together and pitched simultaneously, which both saves time and keeps rain from reaching the inner tent. The outer tent can be pitched separately when you need a larger shelter, and the inner can also be pitched separately in warm and dry conditions to keep the bugs away.